Kirstin Brink received her B.Sc. in Biology and Earth Sciences from the University of Alberta in Edmonton in 2006, where she completed her honours thesis with Ruth Stockey on Cretaceous conifers from Hornby Island, British Columbia. After a year of working as a preparatory and field assistant for the Royal Tyrrell Museum in Drumheller, Alberta, Kirstin obtained her M.Sc. at the University of Calgary with Dr. Darla Zelenitsky in 2009 on growth of the crest of the lambeosaurine dinosaur Hypacrosaurus stebingeri. 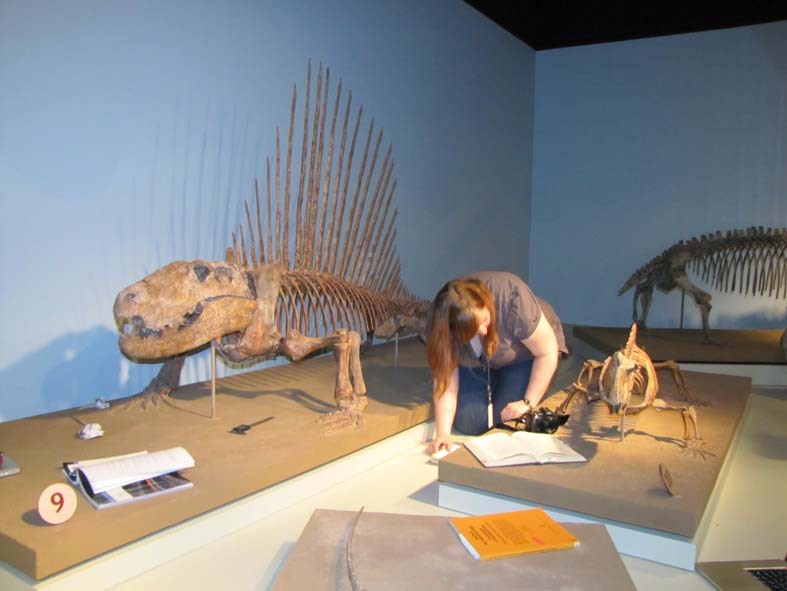 Her Ph.D. research with her co-supervisor, Robert Reisz, will investigate the ontogeny and systematics of sphenacodontid synapsids with a focus on Dimetrodon, and an investigation into Early Permian ecosystems. 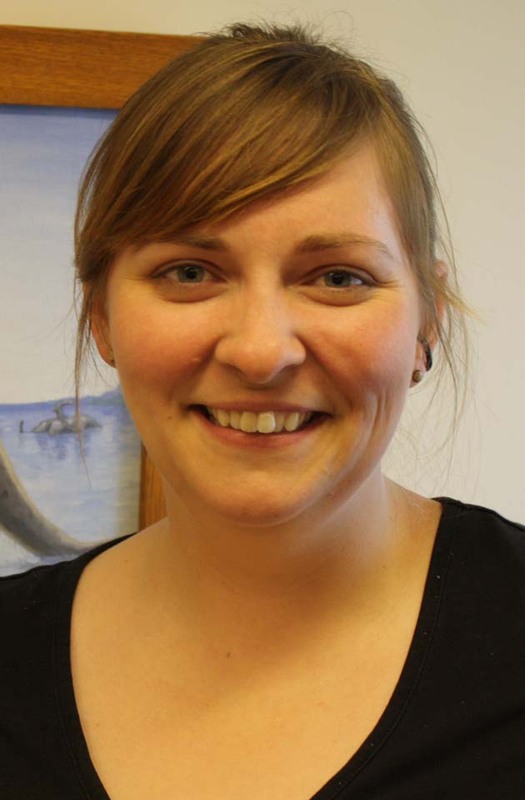 Kirstin has many broad research interests, including a continuation of a study on ontogeny in lambeosaurine dinosaurs, and Permo-Carboniferous ichnology. Brink, K.S., Reisz, R.R., LeBlanc, A.R.H., Chang, R.S., Lee, Y.C., Chiang, C.C., Huang, T., and Evans, D.C. 2015. Developmental and evolutionary novelty in the serrated teeth of theropod dinosaurs. Scientific Reports 5: 12338 DOI: 10.1038/srep12338. Evans, D. C., P. M. Barrett, K. S. Brink, and M. T. Carrano. 2015. Osteology and bone microstructure of new, small theropod dinosaur material from the early Late Cretaceous of Morocco. Gondwana Research. Brink, K. S., D. K. Zelenitsky, D. C. Evans, François Therrien, J. R. Horner. 2014. Cranial morphology and variation in Hypacrosaurus stebingeri (Ornithischia: Hadrosauridae). in: Hadrosaurs: Proceedings of the International Hadrosaur Symposium at the Royal Tyrrell Museum. Campione, N.E., K. S. Brink, E.A. Freedman, C.T McGarrity, and D.C. Evans. 2012.‘Glishades ericksoni’, an indeterminate juvenile hadrosaurid from the Two Medicine Formation of Montana: implications for hadrosauroid diversity in the latest Cretaceous (Campanian-Maastrichtian) of western North America. Palaeobiodiversity and Palaeoenvironments. DOI 10.1007/s12549-012-0097-1.